Doctors’ leaders have raised concerns over a lack of clarity about drug availability highlighted by no-deal Brexit planning. The British Medical Association (BMA) warns “a culture of secrecy” could undermine the ability of medics to plan care and deliver treatment. Confidential NHS England files, seen by Newsnight, suggest supply chain issues mean some drugs “cannot be stockpiled”. The government said it has been “as transparent as possible”. With political discussions continuing and EU leaders having agreed a six-month extension to Brexit, the Department for Health has been co-ordinating work across the sector, involving the NHS, pharmaceutical companies and others to prepare for a no-deal Brexit scenario. “Stockpiling is just one part of our multi-layered approach to minimise any supply disruption, which includes alternative transport routes,” a spokesman said. 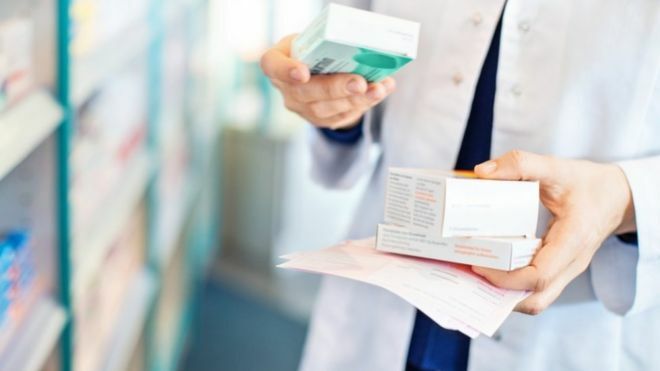 The BMA, which represents doctors across the UK, said it was vital for patient safety that medics were informed about which drugs were being stockpiled and which might be affected by a no-deal Brexit. “Only if there is clarity on the availability of medicines can GPs, consultants, pharmacists, nurses and health care professionals plan and deliver effective patient care,” said Dr Andrew Green, the BMA’s GP committee clinical and prescribing lead. The comments follow a Newsnight report about an internal NHS England document, which detailed concerns about several drugs which pharmaceutical companies have been unable to stockpile. In January, Health Secretary Matt Hancock said the government had asked firms to stockpile a six-week supply of all drugs which do not have a short shelf life. This would provide continuity of care in the event of any supply problems caused by a no-deal Brexit. However, the internal document listed several drugs which had been impossible to stockpile because of problems including “capacity constraints” and “disruption in production”. There is no suggestion that any supply disruption has been caused directly by Brexit. The password-protected document, marked “official sensitive” and “strictly confidential”, was shared with a handful of senior doctors. One of those who received the file was Dr David Nicholl, a consultant neurologist at University Hospitals Birmingham, who was sent the documents in March. He decided to breach his agreement to keep the information confidential, telling Newsnight it “should be in the public domain”. “There’s nothing that I’ve seen in those documents that actually justifies them being confidentially held. In fact, this problem could have been sorted out a lot more easily some months ago, if the documents had been more widely shared,” Dr Nicholl said. The Department of Health and Social Care suggests that sharing such information could lead to people considering local stockpiling, which could cause shortages. It said that it and the NHS have “consistently shared all relevant no-deal plans with clinicians and stakeholder groups”. But other patient organisations and charities echoed the BMA’s concerns over a lack of transparency about the potential shortages of some drugs, which included some medicines used to treat epilepsy. 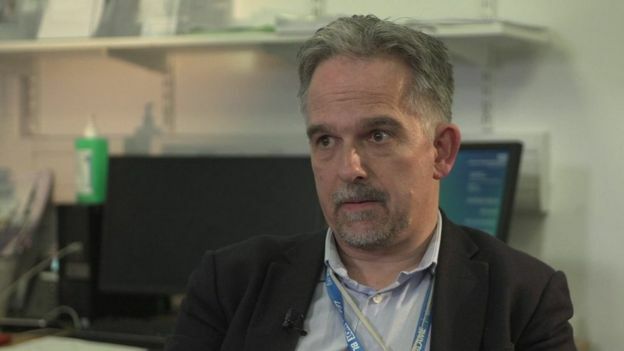 Epilepsy Action chief executive Philip Lee said the government needed to be “more transparent at this critical time”. “The added uncertainty the Brexit process brings only increases the concerns of patients, doctors and charities,” he added. Dr Nicola Strickland, president of the Royal College of Radiologists, said the assumption was that all drugs were being stockpiled. “It would be very reassuring for our patients and for our doctors actually to be given a list of which drugs are being stockpiled, and whether any of them are not,” she said.